This Phuket accommodation offers a five star luxury experience, perfect for a honeymoon, relaxing getaway or memorable family holiday. The Slate, A Phuket Pearl Resort features a range of suites to choose from all with modern amenities and comfortable beds. Spend the day relaxing by one of the 3 resort swimming pools, play a game of tennis, the kids can make new friends at the kids club or you can indulge at the tranquil day spa. There are a number of restaurants and bars to choose from at Indigo Pearl Phuket so there is almost no reason to have to leave during your holiday. Phuket Special Offer: 1 Free Night! If you are looking for somewhere to spend your next family holiday then look no further than The Slate, A Phuket Pearl Resort. 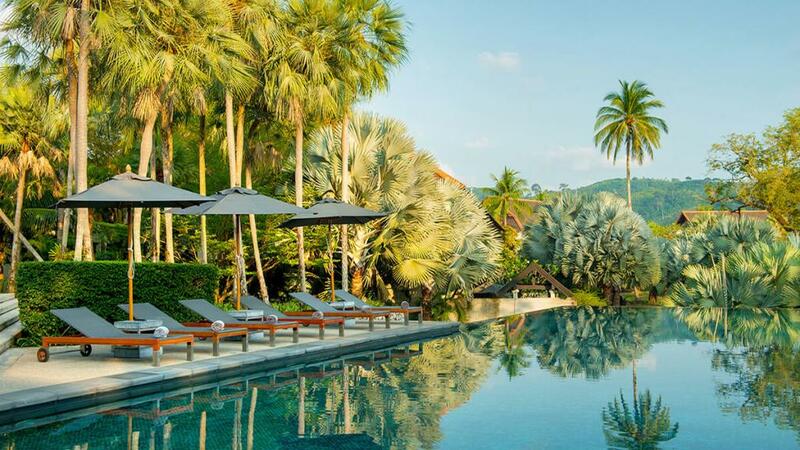 This five star luxury Phuket accommodation boasts amazing rooms and facilities. There are a wide range of facilities on site to ensure an enjoyable stay including a kids club, day spa, bars, restaurants, tennis court, playground, Wifi Internet and much more. The stunning Nai Yang Beach is easily accessed from the resort and is a great place to relax and soak up the sunshine.